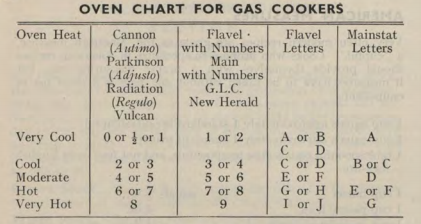 Many of the same makes of oven appear in Ambrose Heath’s Kitchen Wisdom (1950). It repeats as fact the myth that Marco Polo brought pasta to Italy from China, a myth which a number of scholars believe came from a 1920s item in the Macaroni Journal, a trade publication for pasta makers in the US. Daly uses the term “pasta” throughout the book, but this word was not in common use in English-language cookbooks until at least the 1950s, with “macaroni” the preferred umbrella term for different pasta shapes up until then. 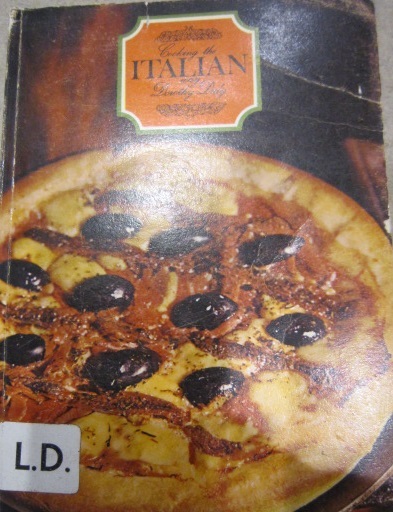 Sun Books published an Australian edition in 1969 under the title Cooking the Italian Way. Except for the title, and some minor editing, there isn’t much difference between this version and the so-called 1900 edition. 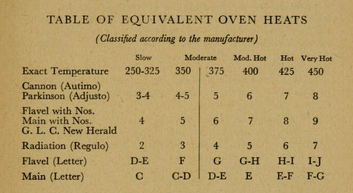 It seems pretty unlikely that a book would require little editing when so much has changed in the kitchen from 1900 to the late 60s, unless it was marketed as some kind of nostalgia trip, which it wasn’t. Much more likely is that the book was first published in London in the late 1950s, which British historian Panikos Panayi notes in Spicing up Britain: The Multicultural History of British Food. The cover of Cooking the Italian Way, published in Melbourne, 1969. The illusive Ms Daly also wrote a bunch of other books on Italy, all of which feature publication dates in the 1950s, 60s, 70s and even 80s. Some of these are reprints, but unless Daly was a prolific genius writing from the age of 2 until her old age, it’s difficult to account for the fact that the rest of the woman’s work was published 50 years after her first book. Incidentally, I have found very little biographical information about the mysterious Dot Daly, like when she was born and when she died, so if you know something, say something. Stylistically, typographically and linguistically Italian Cooking just doesn’t look or sound like a book written at the turn of the last century. Don’t believe me? Have a look yourself and you will no doubt find a hundred other reasons why this book couldn’t have been published in 1900. So this wrong date is now all over the Internet, with some categorising it incorrectly, even Google, and others trying to make a quick buck. It makes me mad, not because people are potentially getting ripped off, although that’s never nice, but because a wrong date can lead a student of history to make incorrect assumptions about, well, everything. It also proves you can’t just accept what other people – even if those people are big, established, respected libraries – say. You have to question everything. Though, let’s be honest, we could’ve saved a hell of a lot of time if the publisher HAD JUST PUT THE DAMN DATE ON THE BOOK IN THE FIRST PLACE! Sorry for yelling, but I was angry. I feel better now. Wow! $275 that’s impressive. It looks like a beautiful book – the illustration of the cat by the polenta is gorgeous! At page 62, you can find Spaghetti alla carbonara (Bacon egg and onion) but there is no evidence of this dish in italian cookbooks before the mid ’50, and of any sort, before 1945. Thanks, kind of verifies my own observation. After leafing through the book on the Internet Archive, I figured that it was from the 1940s at the earliest – no way from 1900. A title-and-author search brought me here.